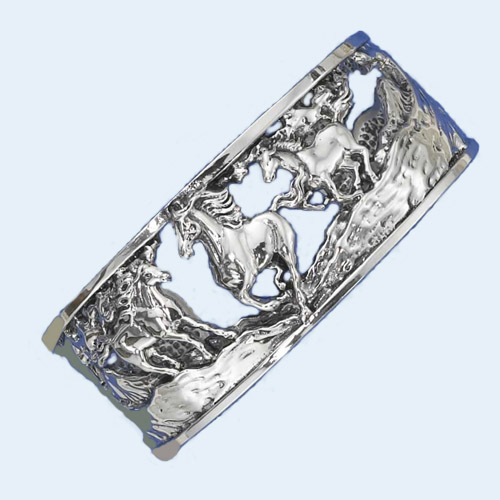 Desc: Sterling Silver galloping horses cuff bracelet. The scene is horses galloping through mountains. The design is open. The bracelet has a bright polish finish.